1. 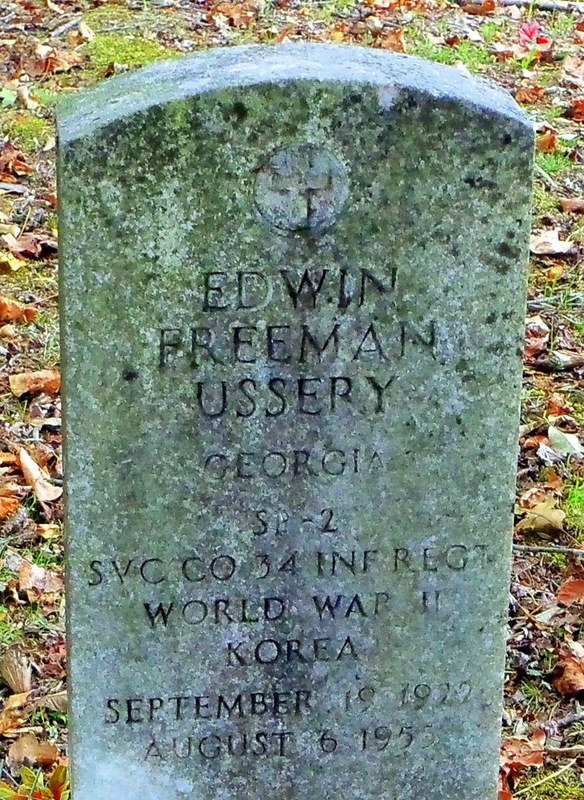 "Georgia, World War II Draft Registration Cards, 1940-1942," index and images, FamilySearch (https://familysearch.org/pal:/MM9.1.1/V2MR-CMQ : accessed 03 Mar 2013), Edwin Freeman Ussery, 1941. 2. Ancestry.com. U.S., Headstone Applications for Military Veterans, 1925-1963 [database & images on-line]. Provo, UT, USA: Ancestry.com Operations, Inc., 2012. Entry for Edwin Freeman Ussery.